The USDJPY holds onto its gains and the positive mood among equities' traders has kept the pair afloat, despite US Treasury yields underperformed, slipping after US Consumer Sentiment fell to its lowest in six months. The yield on the benchmark 10-year Treasury note settled at 2.829% for the week, pretty much unchanged on a weekly basis. Momentum is clearly in favour of further upside, but the pair might pull back after the rally we witnessed. 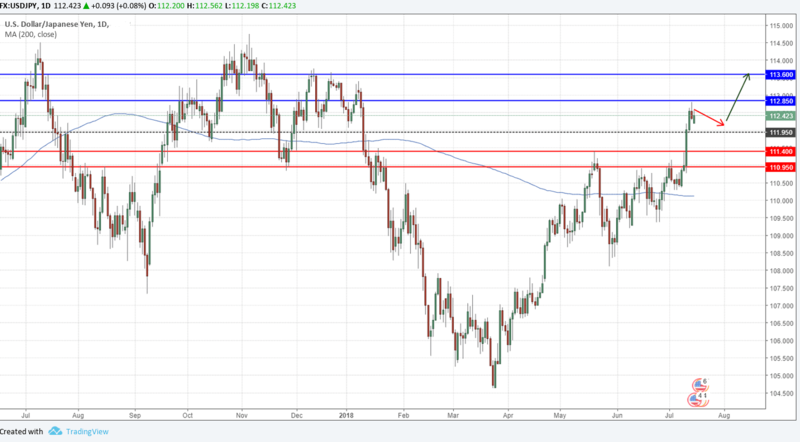 The USDJPY holds onto its gains but it's running into some signs of exhaustion near the resistance line coming in at 112.60. The pair is well above its moving averages, technical indicators have pulled lower from extreme levels, but remain within overbought readings, thus there is a possible downwards corrective movement ahead, but without confirming it, and without denying the bullish trend.